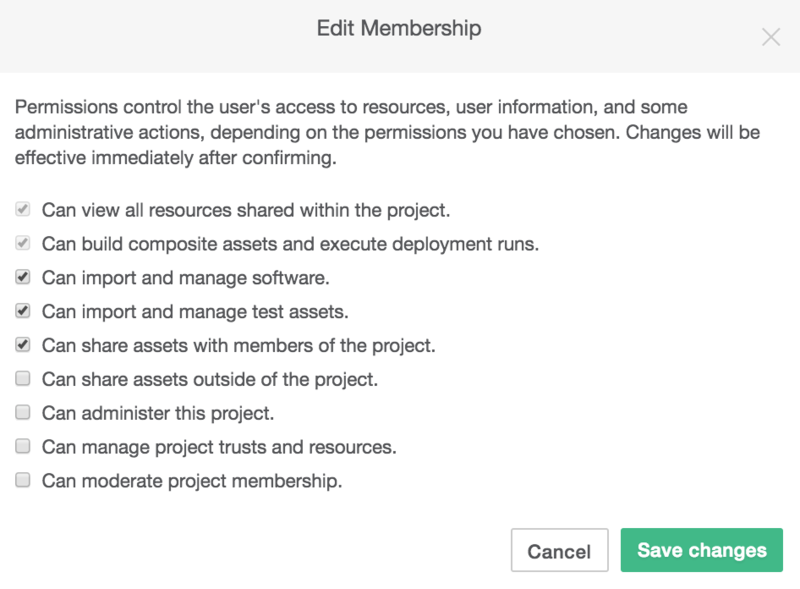 In the pop-up window, check the boxes of the permissions that you would like to assign to the user, each is described below. 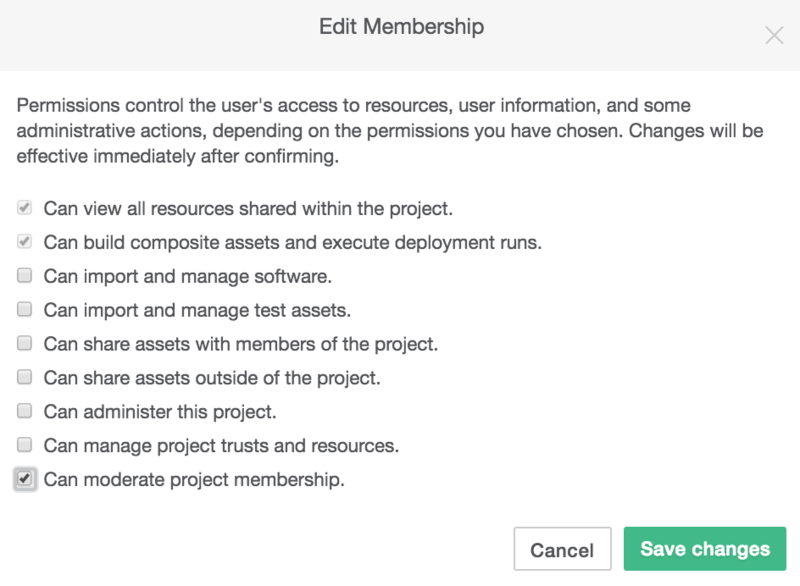 A project member can be assigned the permissions listed below, as determined by the Project Manager. 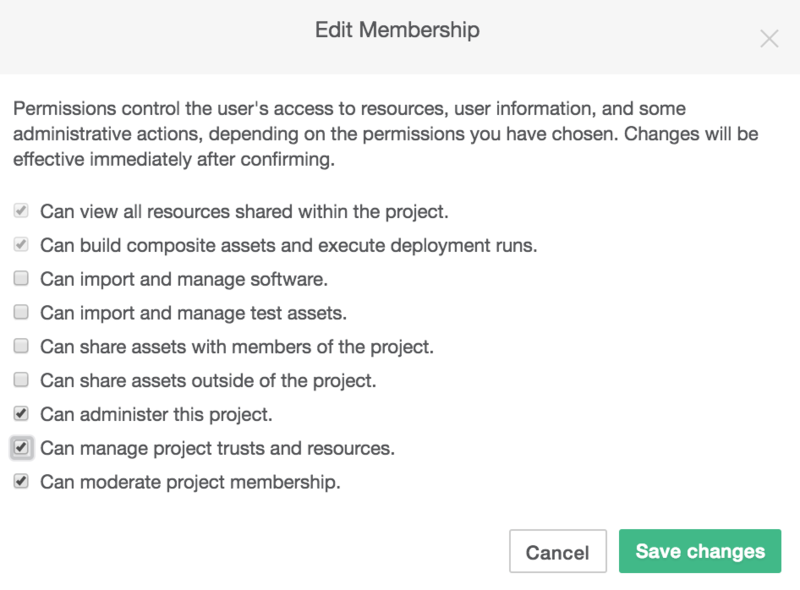 Project members have the first two permissions by default. Can view all resources shared within the project. Can build composite assets and execute deployment runs. Can import and manage software. Can import and manage test assets. Can import and manage virtual services. Can share assets with members of the project. Can share assets outside of the project. Can administer this project (grants all permissions to users). Can manage project trusts and resources.